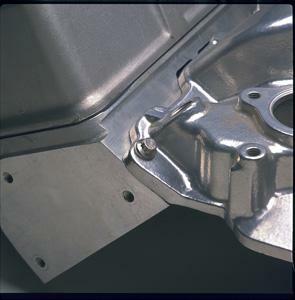 Prevent intake manifold leaks with ARP’s quality fasteners. They’re rated at 170,000 psi and precision machined for optimum thread engagement. Wide underhead flange and companion washers provide even load distribution. Precision rolled threads prevent galling while promoting more consistent torque loading. Facilitates optimum sealing of gasket surfaces. Available in choice of black oxide finish chrome moly or corrosion resistant stainless steel, as well as hex or 12-point heads. Washers included. Special “NASCAR” model bolts have drilled heads (one per set) to facilitate tech official’s sealing. 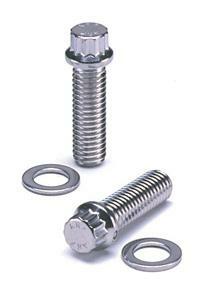 These 12-point bolts have a generous flange head for superior load distribution.